Mr Qin Yongmin is is prominent human rights defender and one of the co-founders of the China Democracy Party. He is the Director of China Human Rights Watch and the Rose Group, two domestic organisations which pursue equal rights for all, highlight cases of human rights abuses and assist those who have had their rights violated. He is currently serving a 13-year sentence for 'subversion of state power.' 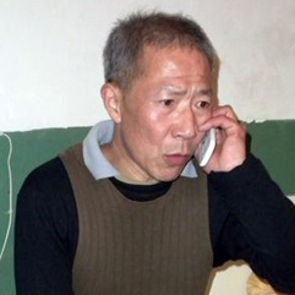 In 1998 Qin Yongmin was sentenced to 12 years in prison for his role in co-founding the China Democracy Party. He had previously served eight years in prison after being found guilty of 'counter-revolutionary propaganda' and 'incitement' in 1981. In 1993 he was sentenced to a further two years' re-education through labour for calling on the Chinese Communist Party to release all political prisoners, re-evaluate its judgement on the 1989 student protesters and subsequent crackdown, and allow exiled students to return to China.